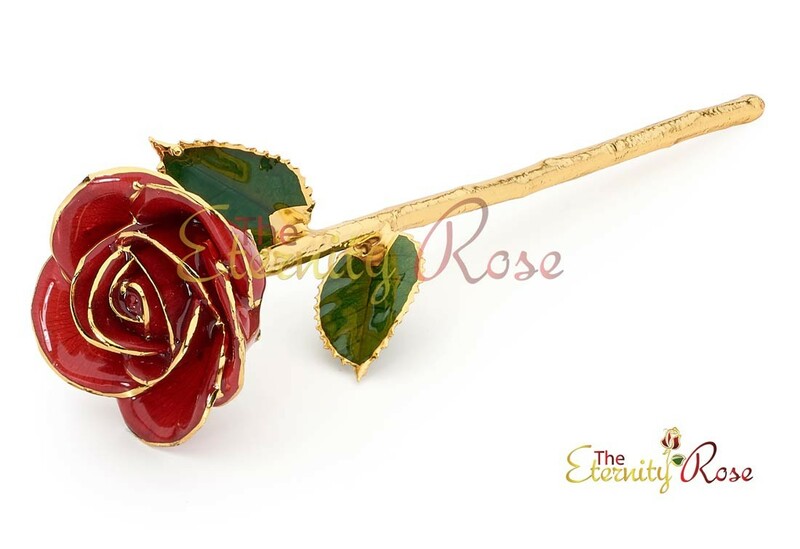 Part of the Eternity Rose range, this beautiful artwork is formed through an electroforming process during which a real red rose is glazed and trimmed in pure 24K gold. 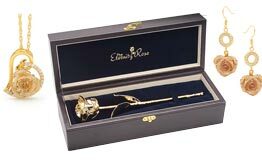 Every rose is handcrafted and is one of a kind, with gorgeous 24K gold embossed edges on the leaves and petals, and a 24K gold-dipped stem. 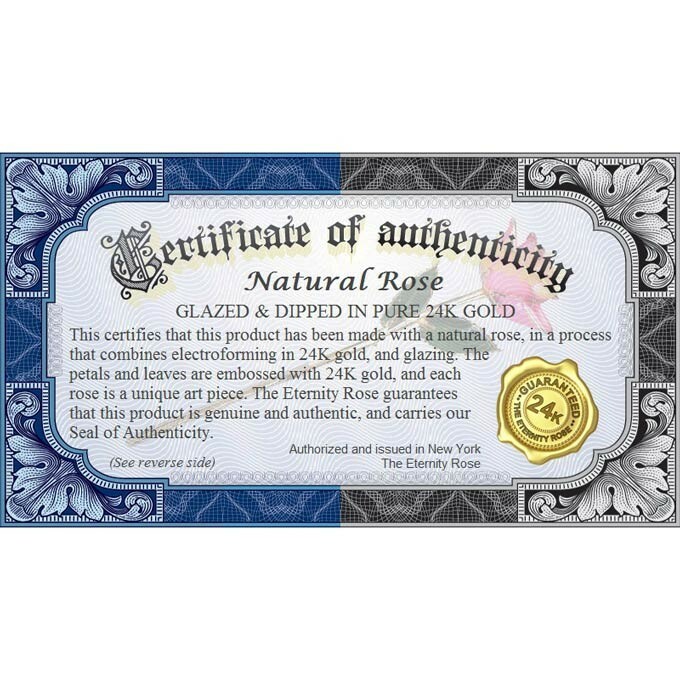 Each rose comes with an authenticity certificate, guaranteeing the individual design and genuine nature of each artwork. 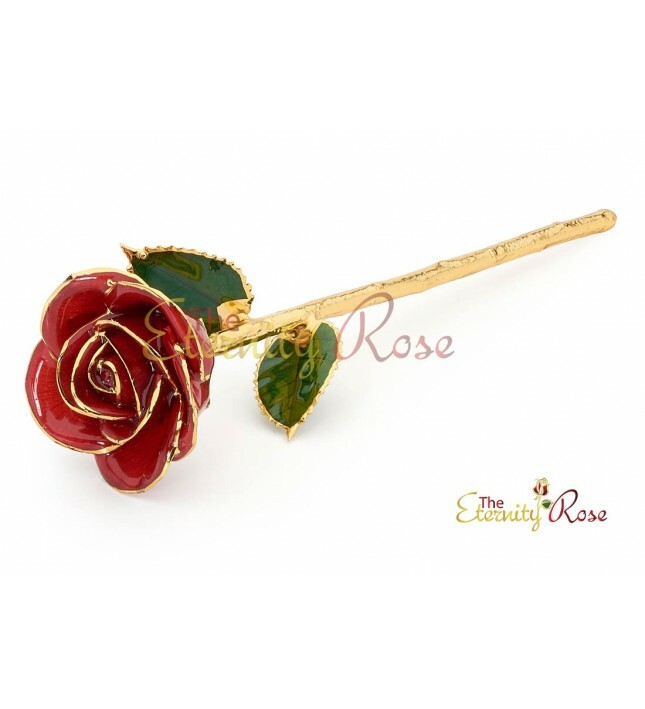 Since ancient times, gold has been acknowledged as a token of luxury and prestige, and the rose is immortalized for all time as a symbol of love, beauty and romance. 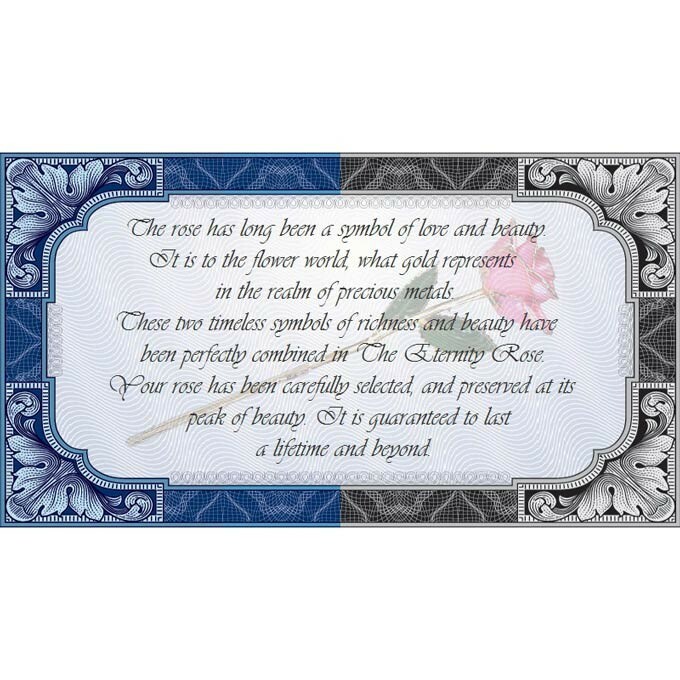 These twin symbols are now brought together in a gift that is as stunning as it is thoughtful - an Eternity Rose – to display forever in a display cabinet. 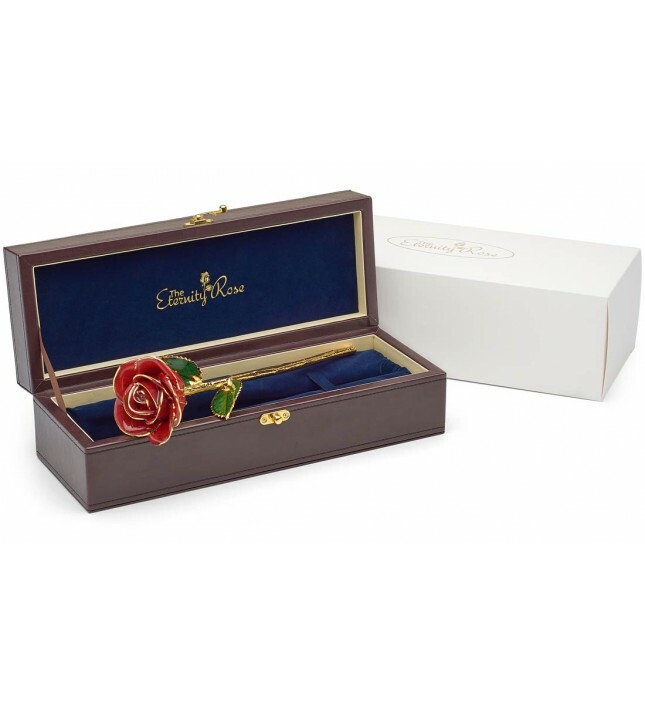 Amaze your special lady with an Eternity Rose on the occasion of an anniversary, birthday, Valentine's Day or Mother's Day, or even to demonstrate your devotion. 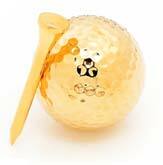 She will know when she receives this special token how much she is truly loved. 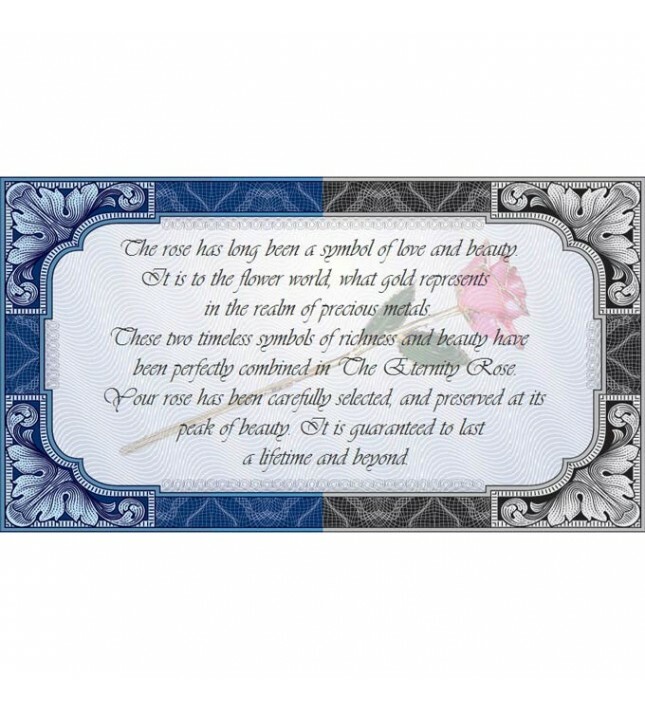 An Eternity Rose is a unique way to express your innermost sentiments, representing genuine affection in the most impressive and unique way. 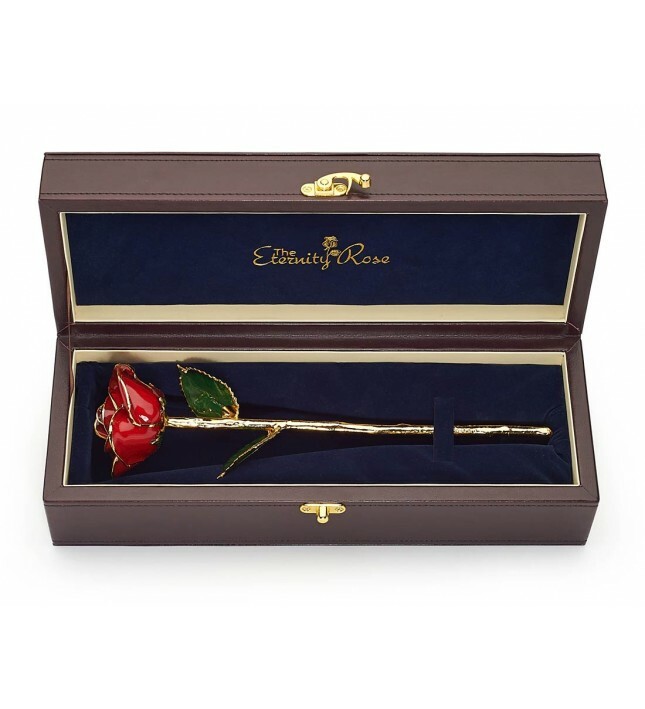 The most beautiful combination of the natural elegance of roses and the exclusive majesty of a striking gold ornament, any lady is sure to display her beloved gift, in its own prestigious display case, in the heart of her home. 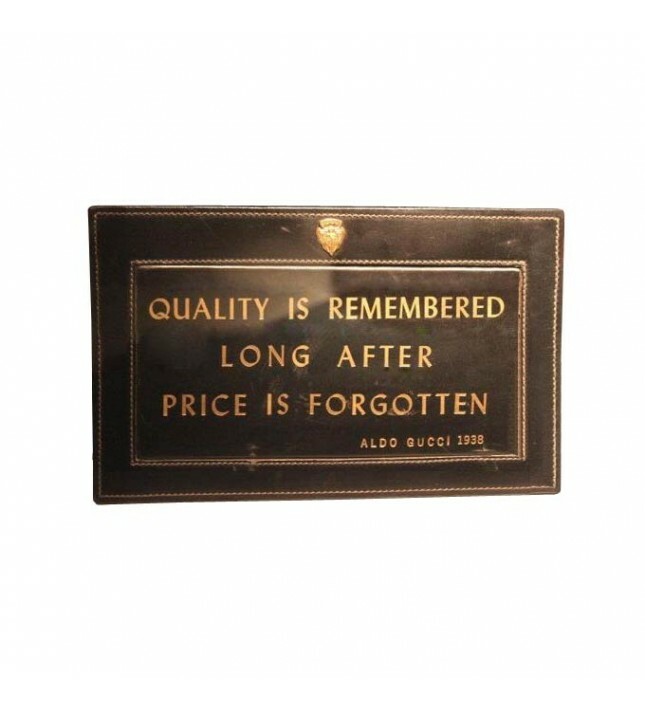 The elegant leather case, with its sleek velvet lining shows off the precious token to its finest advantage. 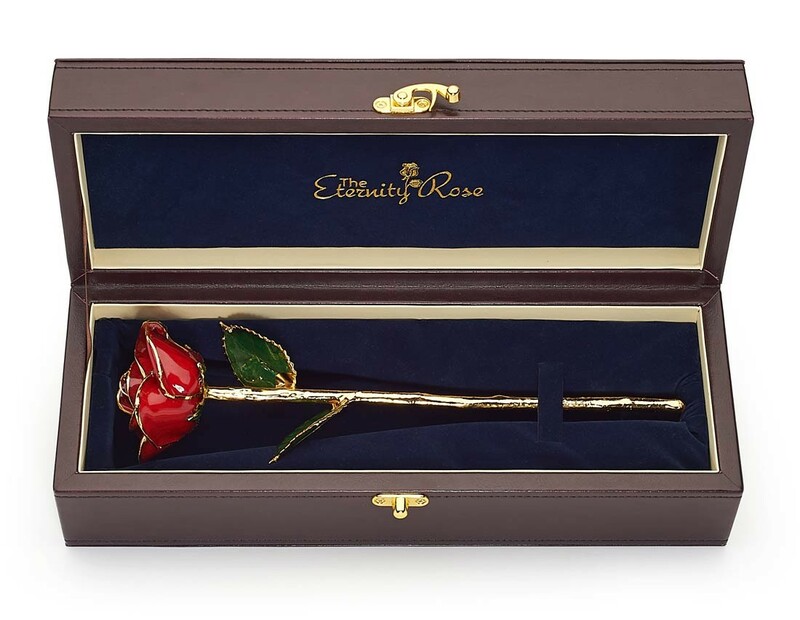 What more iconic way to demonstrate love than by giving a single rosebud? 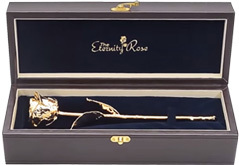 Now, The Eternity Rose has been inspired by this concept, turning it into an artwork that is as creative as it is luxurious and long lasting. 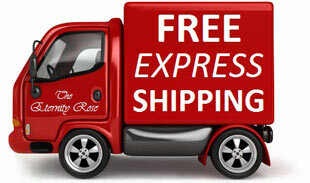 Each rose used in The Eternity Rose product range is grown in our own nursery by skilled horticulturalists. 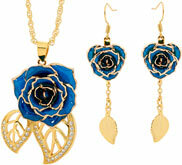 Chosen for unique beauty and hue, the blossoms are tended carefully, and picked in their prime to be glazed and preserved forever in all their natural splendor. The entire glazing and gold-trimming process takes 3 months and involves 60 steps in order to make this expertly crafted artwork. 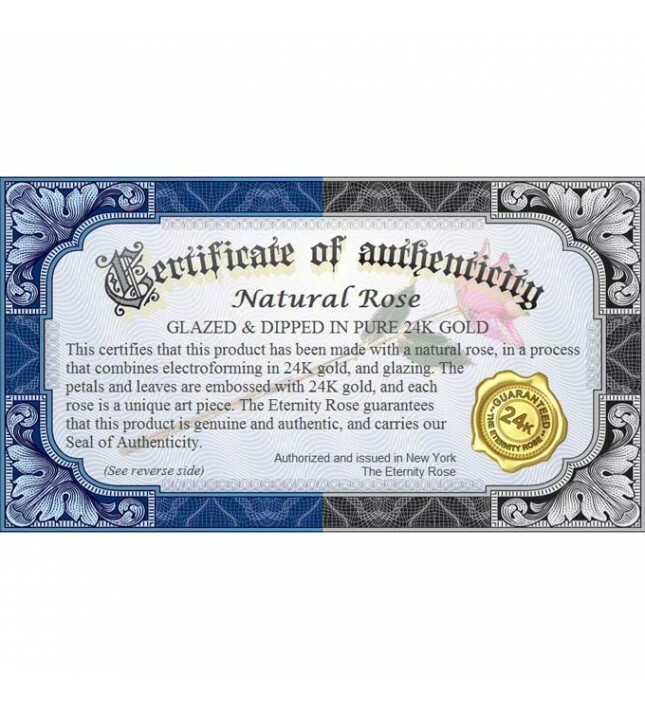 A layer of pure copper is first electroplated on the leaves and petals forming a perfect base for the hand-glazing procedure. 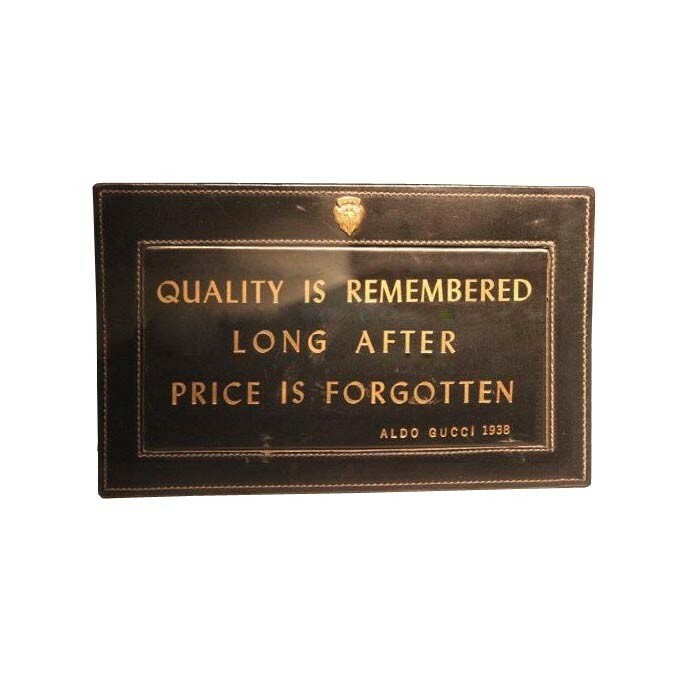 Then every leaf and petal is embossed using pure 24K gold to produce a radiant mirror finish which cannot corrode or fade with time. 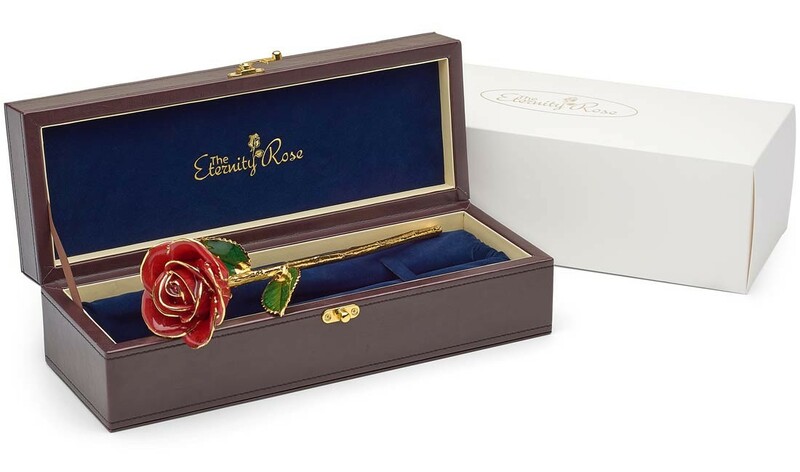 Show your love for a special someone by presenting her with the stunning gift of an Eternity Rose, as beautiful as she is, and as eternal as your devotion. 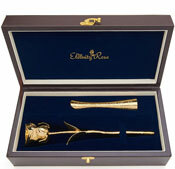 If your lady loves luxurious gifts, you may also want to surprise her with a magnificent natural Gold-Dipped Eternity Rose.